Now that Purim is over, the countdown for Passover has begun! If you are hosting a Seder or invited to one as a guest, don’t forget to make Too Good To Passover a part of your holiday. Please spread the word to your friends, colleagues, and family. CLICK HERE TO ORDER in the U.S.A.
Too Good To Passover is the first Passover cookbook specializing in traditional Sephardic, Judeo-Arabic, and Central Asian recipes and customs (covering both pre- and post-Passover rituals) appealing to Sephardic, Mizrahic, and Ashkenazic individuals who are interested in incorporating something traditional yet new into their Seders. A compilation of more than 200 Passover recipes from 23 Jewish communities, this cookbook-memoir provides an anthropological as well as historical context to the ways in which the Jewish communities of North Africa, Asia, the Mediterranean, and Middle East observe and enjoy this beloved ancient festival. In addition to full Seder menus, Passover-week recipes, and at least one “break-fast” dish, each chapter opens up with the reflections of a few individuals from that region or territory. Readers can learn about the person’s memories of Passover as well as the varying customs regarding pre-Passover rituals, including cleaning the home of all hametz or “leavening,” Seder customs (such as reenacting the Israelites’ exodus from Egypt), or post-Passover celebrations, such as the Moroccan Mimouneh for marking the end of the week-long “bread fast.” These customs provide a more complete sense of the cultural variations of the holiday. 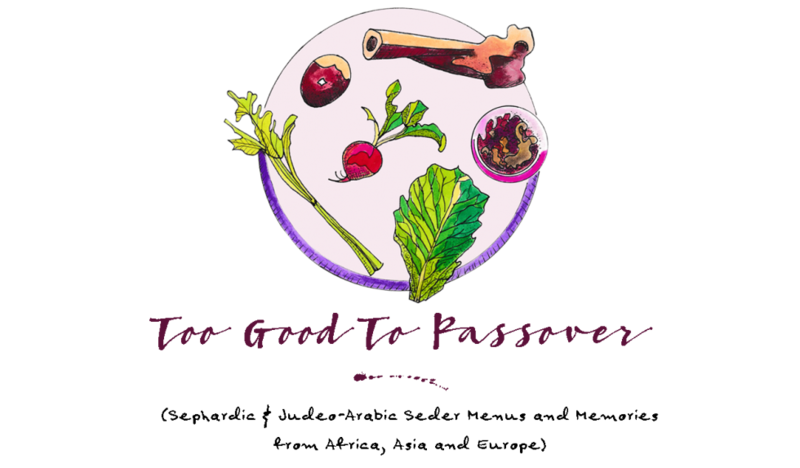 Too Good To Passover is a versatile and inspiring reference cookbook, appealing to those who may want to do a different “theme” each Passover year, with possibly a Turkish Seder one year, or Moroccan one the next. Jennifer Abadi lives in New York City and is a researcher, developer, and preserver of Sephardic and Judeo-Arabic recipes and food customs. A culinary expert in the Jewish communities of the Middle East, Mediterranean, Central Asia, and North Africa, Jennifer teaches cooking at the Institute of Culinary Education (ICE) and at the Jewish Community Center Manhattan (JCC). She also offers private lessons and works for a variety of clients in the New York City area as a personal chef. In addition, Jennifer provides Jewish food and culture tours on Manhattan’s Lower East Side. Her first cookbook-memoir, A Fistful of Lentils: Syrian-Jewish Recipes From Grandma Fritzie’s Kitchen is a collection of recipe and stores from her family. Too Good To Passover is her second cookbook. From Haman to Pharoah: Common symbolism in Purim and Passover. The holiday of Purim has some parallels to Passover, and marks the beginning of the 30-day countdown to the Seder. In both cases we retell a time when the Jewish people faced near extermination and were saved. On Purim we read in the Book of Esther, how Haman (the evil vizier of King Ahasuerus) tried to annihilate the Jews and Queen Esther stepped in to save them. During Passover we retell the story of the Book of Exodus when Moses saved our ancestors from the evil Pharoah by bringing us out of Egypt. we destroy Haman’s evil plan to kill all the Jews by eating stuffed pastries that symbolize his pocketful of lots (for selecting the date for annihilation), or money (to bribe the king). The most well known Purim pastries in the United States (brought over by German Jews) are called Hamantaschen, meaning, “Haman’s pockets” in Yiddish/German, and while we often see them filled with either prune or apricot filling, the original pastries had poppy seeds, and were based upon popular German cookies called, Mohntaschen (meaning, “poppy seed pockets”). I decided to prepare Hamantaschen this year as a way to kick off my preparations for Passover, as well as teach my kids how to make them. To give a slight Middle Eastern flavor I added a few teaspoons of orange blossom water to the apricot jam, and I cooked down prunes with dates, cinnamon, and a little sugar for my own homemade prune butter (blending it until very smooth in the food processor). I don’t have a cookie recipe of my own to share, but you can follow one of the hundreds of good ones out there, and try my idea for the fillings. Check out my sister’s Purim story! Cleansing your sins for Passover? It’s time to start preparing. The holiday of Passover in truth begins today, when we sweep up fallen Hamantaschen crumbs from Purim and start the methodical process of cleaning out our homes from top to bottom. Back a few generations ago, the act of cleaning was taken very seriously in eastern countries. In wealthy homes in Morocco (where hiring help was affordable), individuals were paid to remove ALL of the stuffing from every pillow and mattress, pick it clean, stuff it back in, and sew the cases back up. Some individuals from India noted that their walls were all freshly painted, and their floors stained, while in Ethiopia it was commonplace to break all of the pottery (including bowls, cups, plates, and pots) from the past year and buy new ones beginning with Passover. In Egypt and Lebanon, copper pots were brought to specialists who would clean and polish them until they became almost white in appearance, a process called imbay’yid (meaning, “to whiten” in Arabic). And overall in many of these communities, it was essential for the whole family to go to a seamstress or tailor a few weeks before the Seder to get measured for new clothing, which was often made of a white cloth. What is most interesting is the connection of cleaning one’s house to cleansing one’s soul. As with most Jewish rituals, the physical act of observance is often tied to something deeper, higher, and more spiritual. There is an old saying, “Cleanliness is next to Godliness,” which is derived from a basic principle mentioned throughout the Bible. In the passage Exodus 19:10 (Oxford Annotated Bible), the Lord tells Moses: “Go to the people and consecrate them today and tomorrow, and let them wash their garments and be ready by the third day; for on the third day the Lord will come down upon Mount Sinai in the sight of all the people.” From this we learn that in order to receive God, it is important to cleanse oneself on the outside as a step towards spiritual purification (for the inside). During the weeks and days leading up to Passover we take the time to cleanse our homes and ourselves so that by the eve of the Seder we are ready to receive God once again, and remember how our ancestors were once freed to start anew. Question: How do you prepare for the coming holiday? 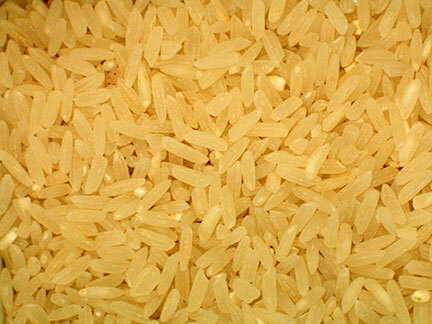 Time to sort the rice: Let the preparations for Pesach begin! Iran, Syria, India, Iraq: The purchasing and sorting of rice grains (this could take several weeks to do as each grain was individually checked, discarding any broken pieces or grains of wheat that might have gotten mixed in). then re-stuffing them with new, fresh cotton (that has been sorted for cotton seeds or bugs). (the previous year’s dishes and pots would ALL be broken then discarded a few days before Seder). Egypt, Morocco, Iran: Washing and painting of all the interior walls of the house. Yemen, Egypt, Iran: Buying a young lamb and raising it on the terrace or in backyard before slaughtering it for the Passover Seder night (this might have started 2 months before). and what were the first things that you would do? Purim is over and the countdown has begun: Time to start that spring cleaning! Now that Purim has ended the official countdown to Passover has begun folks! This is the time when many Jews begin the step-by-step process of cleaning their house, or apartment (or even office) from top to bottom. Some might take this very seriously by cleaning one room at a time and then closing it off until the first Seder night, while others who have the possibility to go away for the whole week of Passover try to avoid the process entirely. While growing up in New York City in the late ’60s/early ’70s, my parents didn’t really adhere to any particular cleaning ritual. Instead we just tried to finish off whatever bread products we still had in the house by the time the first Seder began, and then allowed only matzah into the kitchen for the duration of the holiday week. But whether it is because I have always been somewhat of a compulsive cleaner, or because I just happen to find some kind of peace in tradition, I have always been fascinated by the ritual of cleaning for this holiday. 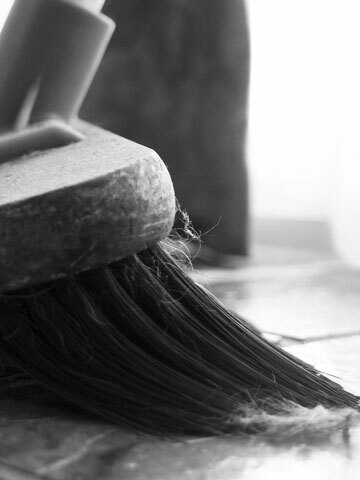 As I conducting interviews with Sephardic Jews about their overall memories of Passover while growing up, I was struck by how early their families had begun to prepare for the holiday, and how committed they were to every cleaning detail. Their childhood memories of Passover in the Old Country were vivid and nostalgic, and they appeared to literally light up as they described to me what they and their family did at home. But what was most interesting was that while they didn’t really want to continue the effort it would take to keep up these traditions, they recognized at the same time that something had been lost. They missed the feeling that they once got from the cleaning rituals that made the holiday more special. They also missed knowing that it was something that they shared with others who were doing the same thing in their community. By the time the first night of the Seder arrived, they were more than ready, perhaps as if they had earned it in some way. The Seder itself marked the separation between “old” and “new,” or more significantly, before the Exodus from Egypt and after. In fact the more I spoke to them I realized that the Passover holiday didn’t really begin with the first Seder at all, but rather with the first day of cleaning — the day after Purim — which culminated in the Passover holiday one month later. Without this period of cleaning, organizing, and planning for the Seder, the Passover holiday itself would have been less meaningful to them.